This profile is created by the parents for our daughter. At this point, we are seeking an alliance for our daughter, where the boy and his family live overseas and are from a well-educated background. Name Visible on Login grew up in Singapore and did her studies here. She went to London for a bachelors degree in Biotechnology. Upon graduation, she returned to Singapore and took up a full scholarship to pursue a PhD in Biochemistry, specifically synthetic biology. She has completed her PhD and intends to pursue a career in research. She has an outgoing, warm and friendly personality and she enjoys reading, travelling, dancing and watching movies. She is independent and has a modern outlook with Indian values. 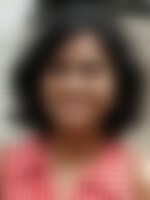 She is interested in dancing and has training in both classical Indian dance and modern dance. We are a close knit family of 4 with strong family values. We are living in Singapore for over 20 years. I (Name Visible on Login's father) am in the IT line and work for a... more major international bank. My wife works with a global IT company. Besides Name Visible on Login, we have a son (2 years older than her) who has done Masters in Engg and is in the teaching line. We enjoy quality family time together on weekends and go for outings like having meals at restaurants, watching movies and travelling together on holidays. We visit India regularly at least once a year and keep in touch with our relatives in India.